Head Lice Removal in Orange County has never been easier. We tailor our treatments to your needs always providing the highest standard of care. 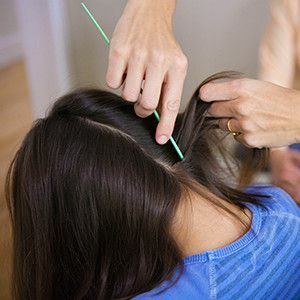 We strongly believe that treating lice should not be a struggle and we strive to offer head lice removal treatments with a 30-day re-treatment policy. Have you been exposed to lice? Do you suspect you have lice? Don’t worry, we will thoroughly screen your head to find even the smallest incidence of lice. This removes all guess work and will confirm whether or not you or your children have lice. This premium service includes a 30-minute heated air treatment using our Airalle device that is FDA-cleared꙳. We follow the treatment with a thorough comb-out to remove dead debris. Finally, we apply a topical rinse especially formulated to suffocate lice as an extra layer of protection to our treatment. Treatments usually take around an hour, but can take longer depending on the level of infestation and the length of the hair. 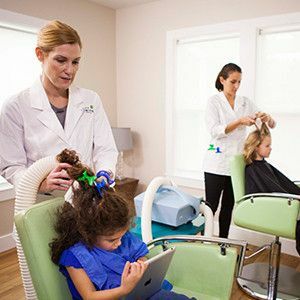 Other lice removal companies who do not use the AirAllé device will charge on average $100 per hour to remove the nits by hand, and they require that you come back for 2nd and even 3rd follow ups at the same rate. They cannot perform a ONE-SINGLE treatment like we do. This treatment has a 30-day Re-treatment policy. In order to qualify for our re-treatment policy, all members of the household must be examined by Lice Clinics of America operator and either cleared or treated by us. We do not give refunds. If evidence of a continuing lice infestation is observed within 30 days of the initial treatment we will treat you again with no additional charge. For families with children that have any contraindication to the use of the AirAlle we offer a comb-out and a required follow-up comb out after 10 days in order to qualify for our re-treatment policy. This budget oriented service includes a complete and thorough treatment for 30-minutes using the AirAllé device to kill the lice and their eggs and an application of a topical rinse that suffocates lice. We finalize the treatment by giving you instructions to complete the process at home with comb-out with the help of a professional lice comb. Since the ultimate success of this option depends on how well the comb-out is performed, we don’t offer our re-treatment policy with this treatment. Under this service designed for those with any contraindication to the use of the AirAllé device, our trained technicians will do a thorough comb-out in our clinic. The treatment duration depends on length of hair and infestation level. We highly recommend a follow-up comb-out after 10-days to ensure we kill all lice and it’s cycle. To qualify for our 30-day re-treatment policy, we need to examine all family members to ensure they are lice free or treated by us and perform a second comb-out after 10-days. This is the most time consuming but least expensive option. We provide all the topical treatment products you will need, along with a professional lice comb. Our trained operators will provide detailed instructions on how to apply the products and perform the comb-out. Have in mind that most parents are not experienced at lice-removal, this will take substantially more time than a professional treatment in order to ensure all the lice are removed. Several treatments and follow-ups will be needed over the course of 14 days, with each treatment taking over an hour.